Nginx 1.2.1 for Windows (32-bit and 64-bit) are now available for free download. Both packages were built from the upstream stable branch. Nginx (pronounced “engine x”) is a high performance web server, caching proxy and a Layer 7 load balancing solution. Millions of web sites on the Internet benefit from using Nginx because of its extreme performance, scalability, reliability, flexibility and security.
) Security: now nginx/Windows ignores trailing dot in URI path component, and does not allow URIs with “:$” in it. Thanks to Vladimir Kochetkov, Positive Research Center.
) Feature: the “debug_connection” directive now supports IPv6 addresses and the “unix:” parameter.
) Feature: the “set_real_ip_from” directive and the “proxy” parameter of the “geo” directive now support IPv6 addresses.
) Feature: the “real_ip_recursive”, “geoip_proxy”, and “geoip_proxy_recursive” directives.
) Feature: the “proxy_recursive” parameter of the “geo” directive.
) Bugfix: a segmentation fault might occur in a worker process if the “resolver” directive was used.
) Bugfix: a segmentation fault might occur in a worker process if the “fastcgi_pass”, “scgi_pass”, or “uwsgi_pass” directives were used and backend returned incorrect response.
) Bugfix: a segmentation fault might occur in a worker process if the “rewrite” directive was used and new request arguments in a replacement used variables.
) Bugfix: nginx might hog CPU if the open file resource limit was reached.
) Bugfix: nginx might loop infinitely over backends if the “proxy_next_upstream” directive with the “http_404” parameter was used and there were backup servers specified in an upstream block.
) Bugfix: adding the “down” parameter of the “server” directive might cause unneeded client redistribution among backend servers if the “ip_hash” directive was used.
) Bugfix: socket leak. Thanks to Yichun Zhang.
) Bugfix: in the ngx_http_fastcgi_module. These Windows setup files are provided to support legacy users who still use the Cygwin based builds. Official native Windows builds are available and supported at nginx.org. If you are new to Nginx on Windows, please use the native Windows builds which are fully supported and available for download at nginx.org. 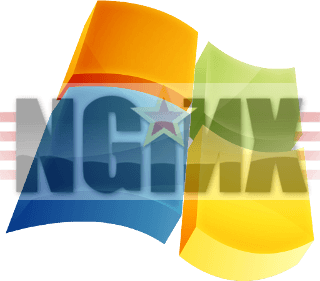 Download Nginx 1.2.1 for Windows (32-bit & 64-bit versions) here. Please feel free to ask questions or or leave a comment below. Thank you.